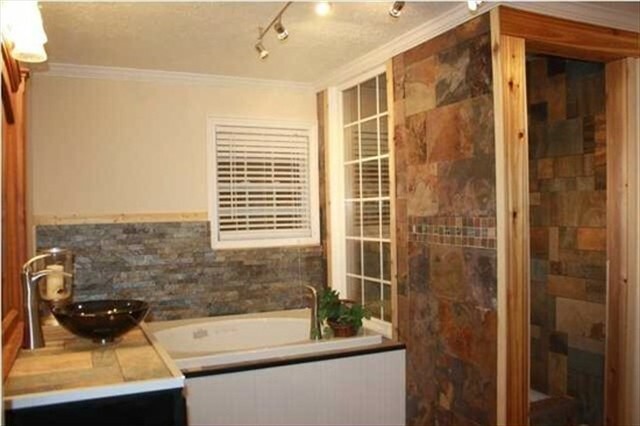 Lake Martin/Auburn Area Home in Wind Creek Farms. Close to everything! Close to everything! 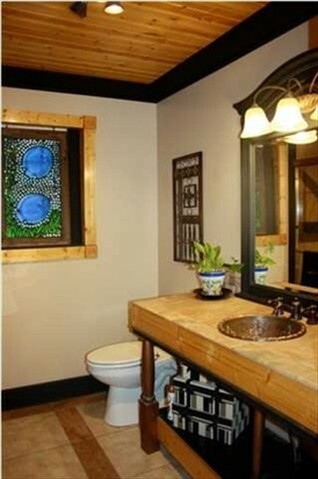 Less than 1 mile from the Wind Creek Lane Home! 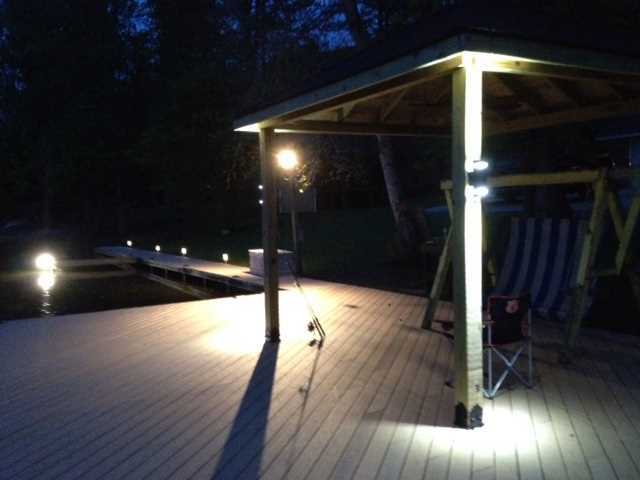 HUGE NEW 35'X25' DOCK W/75' OF PIER ALONG PROPERTY. ALL PREMIUM SYNTHETIC DECKING. NEW LIGHTED GAZEBO w/60" FAN. CAN PARK 5 BOATS W/JET SKI CATWALK AREA TOO. 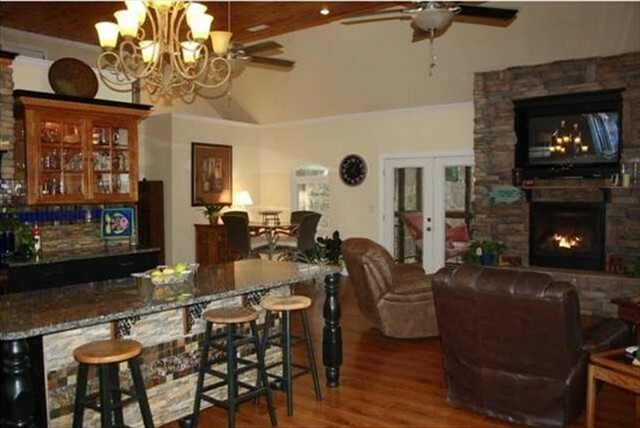 Awesome, large house located directly on the waters of Lake Martin. 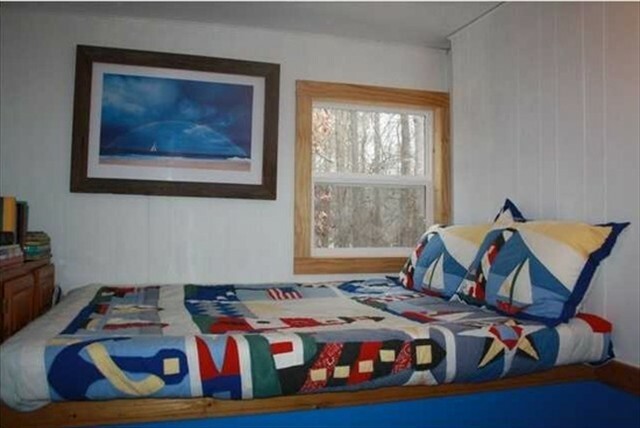 Quiet sluece with no neighbors across, privage lit dock to pull up your boat, drop in your canoe, wave runners or just float in the water on a raft. 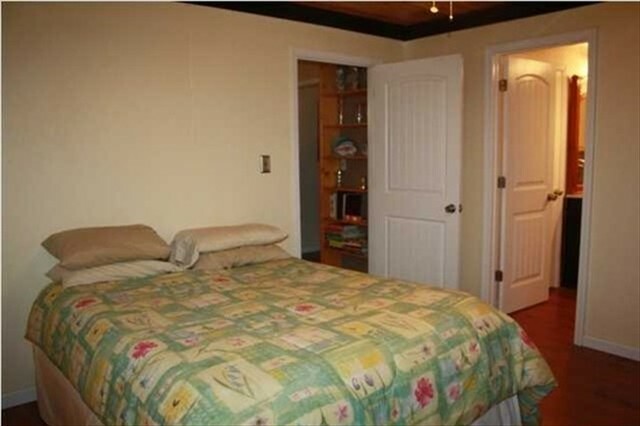 Home is 6 full bedrooms, 3 full baths and sleeps 15. FREE WIFI on all levels of the home. CubieBlue USB charging clock/Blutooth speaker in all bedrooms. USB charging outlets in kitchen. Ultra HD TV on main & lower level. 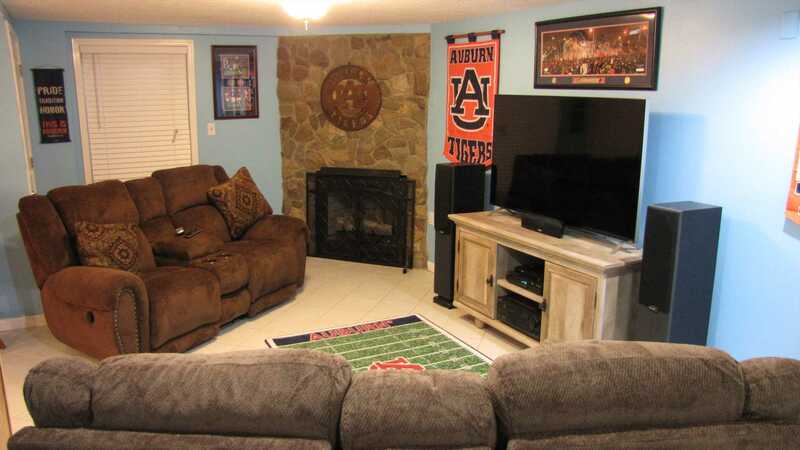 Auburn room 60" UHD TV now has Ultra HD DVD player for UltraHD, Bluray or 3D movies. You can access NETFLIX movies/show with your account also! 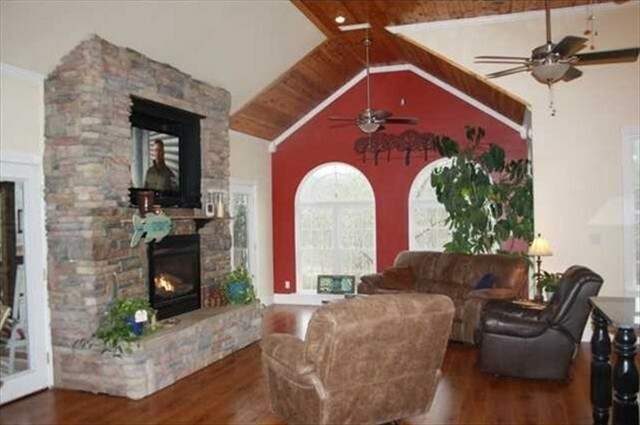 Gorgeous, custom kitchen and great room with fireplace and 12 ft ceilings. 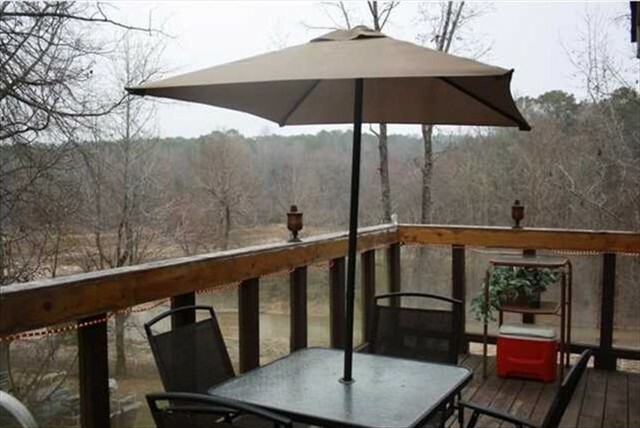 4 separate decks/patio areas including upper level open deck, screened deck, a mid level open/coverered deck with LED accent lighting, and a lower level patio. Parking for many cars available on large, concrete driveway. Full refrigerator with ice maker and ice/water thru door in garage for dockside/entertainment use. 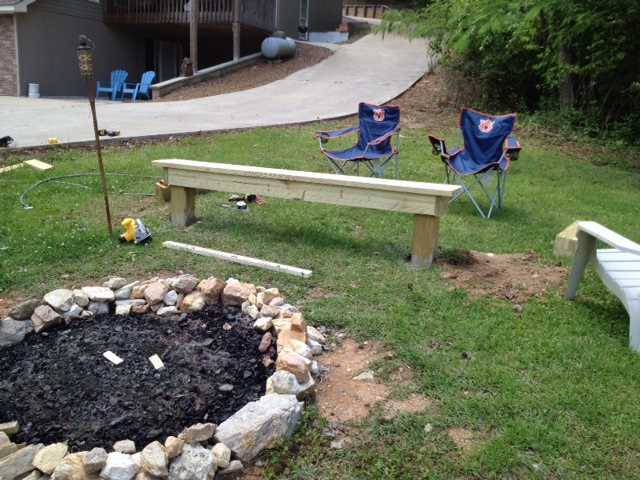 Dedicated Fire Pit area near dock, with built in seating too! 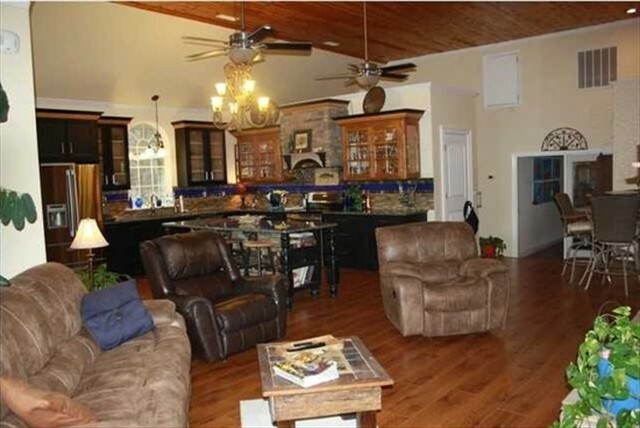 Unit has 8 flatscreen TVs, 8 DVD. 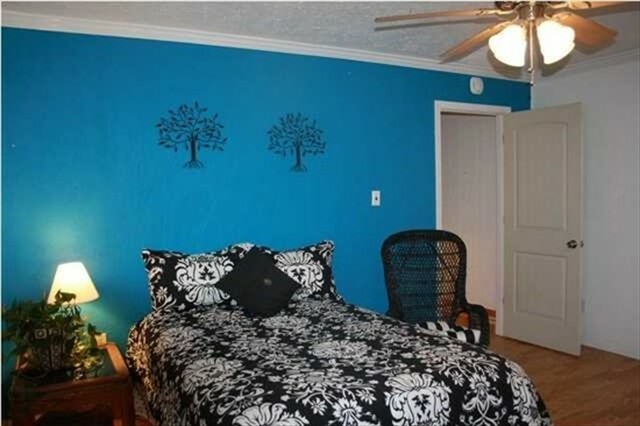 One per bedroom + 2 in gathering areas, including a 55 inch Ultra HD TV in Great Room w/ 3D Bluray. 3 - 40 inch Flats (all with DVD or Bluray), 3 - 32 inch Flats (with DVDs), and a 60 inch Ultra HD TV in lower level 'Man Cave' living room/bar area with Ultra HD/3D/Bluray player. 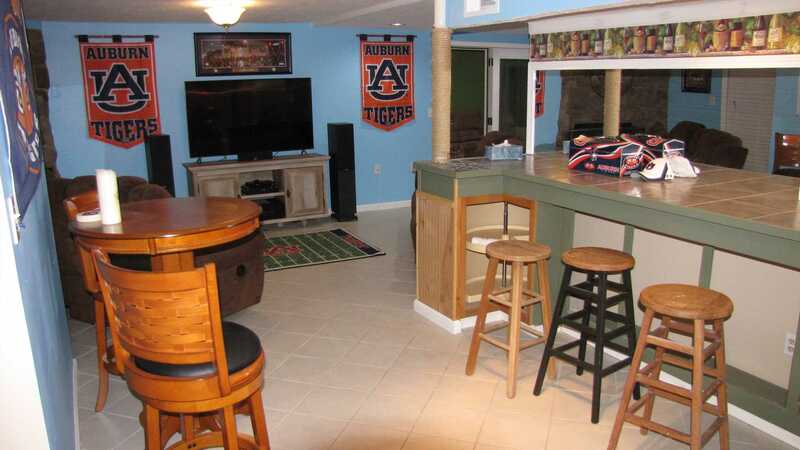 Bar area/Auburn man cave has microwave and drink cooler/frig too, with exquisite lounging loveseats with Wide Screen TV, stereo and 2nd gas fireplace. Bluetooth/LED lighted tower speak in AU Mancave too! 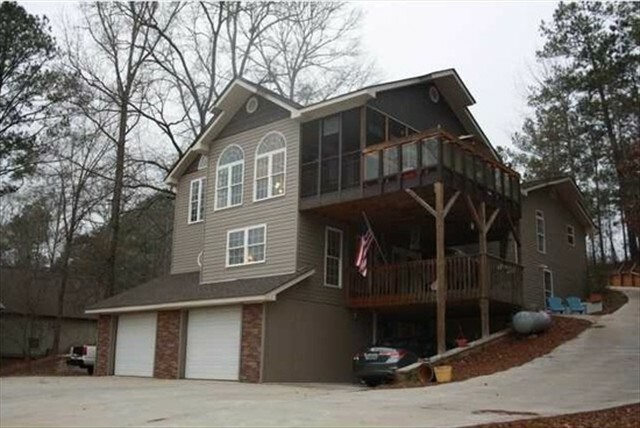 This awesome lake house has 2 huge areas for gathering in the same home; one on each level. 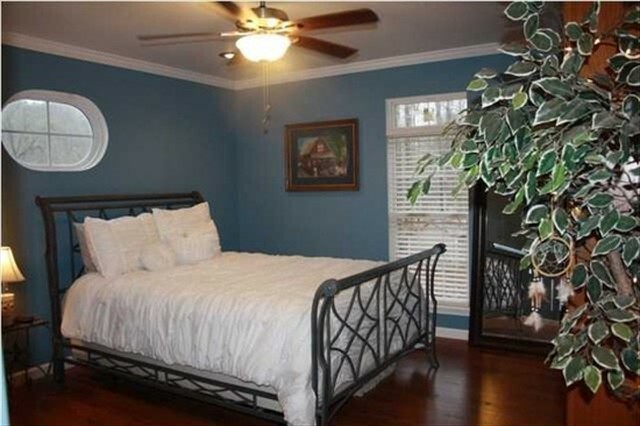 Great location that is 35 min from Auburn Stadium/Campus. Regulation size sand Horseshoe Pits; Premium regulation Corn Hole game w/bags; Tournament Dart Board mounted in garage; available for all guests. Screened balcony has Blutooth stereo speakers with instructions, and main TV has Blutooth sound bar too! Lake house from the Lake! 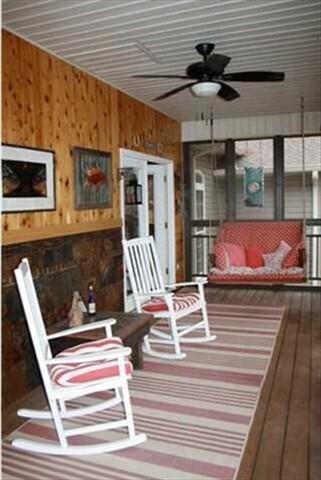 Screened porch; 3 porches available! !